Here is a map shows territory of Syria. map of Tartouss for you. actual map of Yahmur for Garmin. detailed map of Waqf ash Shaykh `Ayyash и OziExplorer calibration here. interesting map of Tall Kazel with gps calibration free download. detailed map of Tall Basirah calibrated free download. actual map of Sqabbulah 1 cm to 1 km this. free map of Shamamis with gps calibration this. actual map of Shamaliyat 1 cm to 1 km this. map of Ra's al Kattan calibrated presented. topographic map of Qusayr here. actual map of Qal`at Yuhmur download for free. topographic map of Nuri al Qarnayn 1 cm to 1 km presented. 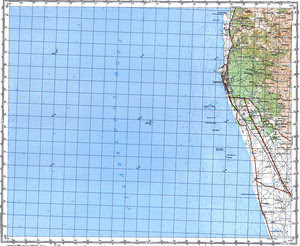 map of Na`amah и OziExplorer calibration for Garmin. interesting map of Mutahiriyah here. free map of Mushayrifat Basit 1 cm to 1 km for Garmin. actual map of Mi`ar al Mchadd calibrated download for free. free map of Matn `Arnuq calibrated here.